We have all been in that situation before. You’re in a hurry to get somewhere and one of your locks fail you. It could be your car, your locker, your door or garage. It happens, and it’s annoying and frustrating. 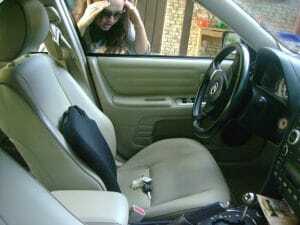 Sometimes your locks can fail to function as it once did, often times due to age, disuse, and overuse. 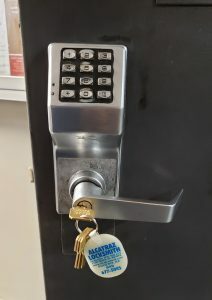 In any case, you should know that in whatever situation you find yourself, whatever, you have an efficient, dependable and quick responsive lock solution with Alcatraz Locksmith services. As our customer (or yet-to-be customer), we want you to know other customers have been left satisfies by our company. I was in SUCH a bind and locked out of my car on a time crunch – plus I live south of Tucson, not even in Phoenix, I was just up visiting. He dropped everything even though he was already home for the day and headed straight over, and I was able to head into what I needed to with plenty of time. Professional, very careful with my car, very easy to work with. Would recommend him to anyone for any job. 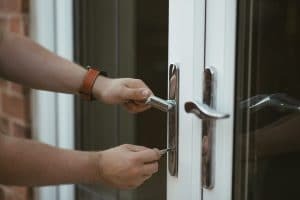 Our locksmith service has had hundreds of satisfied customers, and so far and we pride ourselves in always being able to solve the issues that our clients have with their locks, their keys, and their security systems. 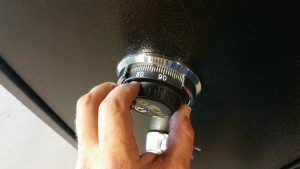 More than that, apart from the amazing automotive locksmith service, our company has also put an emergency locksmith service at your disposal. This means that no matter what time of the day, what day of the week and what moth of the year it is, all you have to do is give us a call and we will be there to give you a helping hand. have with their locks, their keys, and their security systems. More than that, apart from the amazing automotive locksmith service, our company has also put an emergency locksmith service at your disposal. This means that no matter what time of the day, what day of the week and what moth of the year it is, all you have to do is give us a call and we will be there to give you a helping hand. 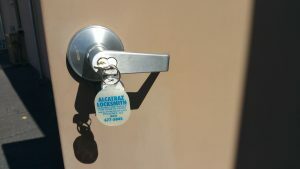 These two services are also the two main reasons why Alcatraz Locksmith is considered to be the most professional and reliable locksmith service in the area. More than that, our company has also become the most popular locksmith service in the area due to the high quality of our work, due to our dedication and, of course, due to our low prices. We actually take great pride in being the top pick both for residential and commercial customers. 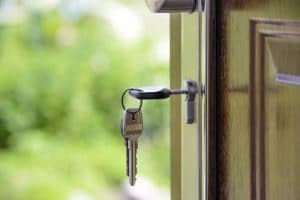 It is no secret that over the years we have managed to help countless businesses and residential customers with their locksmithing issues. However, one other very important thing about our company is the fact that over the years we have managed to maintain a fair price for our services. Our customers are never overcharged and they are never taken advantage of. We perfectly understand that an emergency also means an unplanned expense. This is exactly why we have the most affordable prices in the area and why you will not be able to find another locksmithing service with prices that are as competitive as ours. Our automotive locksmith service includes, but is not limited to: car key replacement, truck key replacement, emergency vehicle opening, car trunk opening, broken ignition key removal and replacement, broken door key removal and replacement, laser keys, high security vehicle key origination, high security vehicle key duplication, ignition repair, ignition replacement, and even theft or break in repair. The bottom line is that no matter the damage, our highly trained professionals can definitely deal with your problem and also fix it in a timely manner. It’ll be in your interest to know we are an A+ rated business on BBB Business Profile. That’s not something you see every day in the locksmith business. Take advantage of our skills just as hundreds (nearing thousands) of satisfied customers already have. We hope to hear from you for any of your lock problems.